100 to 100,000 we can do that! 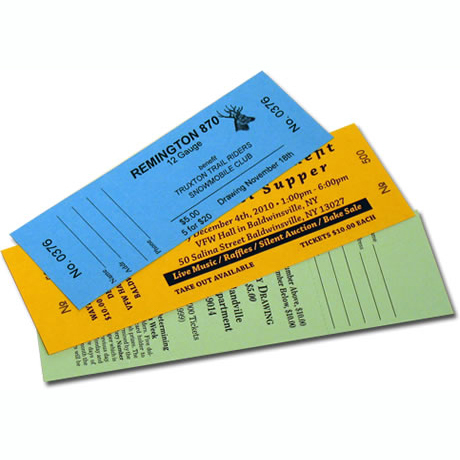 Tickets in all shapes and forms. For events, raffles and fund raisers. Stock and custom sizes on text weight and card stock. One color to full color. 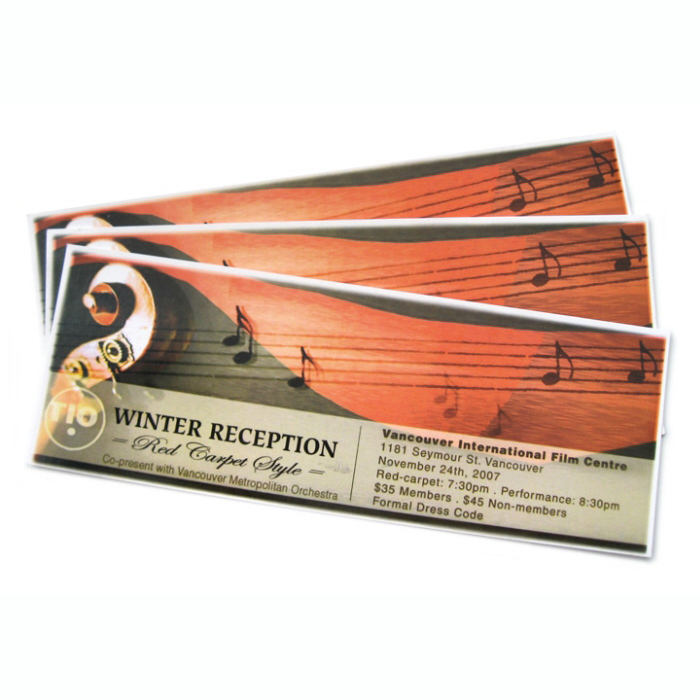 Consecutively numbered and raffle tickets stapled into any quantity of booklets. We can do most any kind of ticket you and your organization will need. QPS can provide everything for your events: tickets, wristbands, stickers, flyers/posters, banners, event programs and more!